Sold by Eat Your Vegetables and Fulfilled by Amazon. Gift-wrap available. 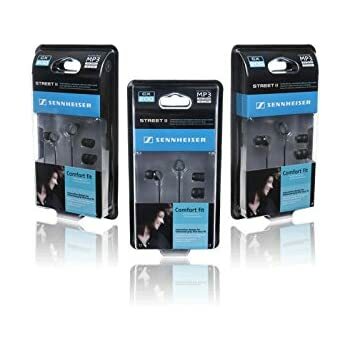 Amazon's Choice for "earbuds sennheisers"
Sold by Eat Your Vegetables and ships from Amazon Fulfillment. Sold by OEM Accessory Depot and ships from Amazon Fulfillment. 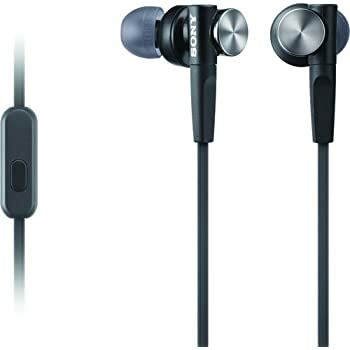 The Sennheiser CX 200 is compatible with MP3, iPod, DVD, and CD players as well as mobile phones supporting a 3.5mm jack plug. CX 200 also supports (listen only) the latest generation of tablets, from the iPad to the most recent Android tablets and the Blackberry Playbook. 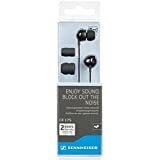 Sennheiser CX 200 earphones, ear adapter set (S/M/L), warranty. I bought these headphones to replace my set of "Bedphones" which broke after a few months for no reason. 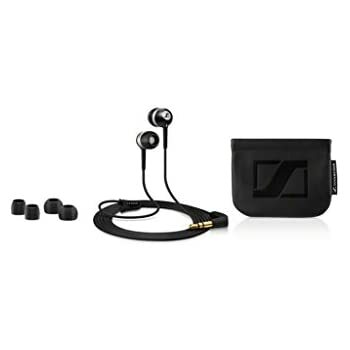 I use a set of Sennheiser over-the-ear headphones at work, and originally selected them because of their good reviews on durability. I am hard on headphones apparently, and I got sick and tired of spending money to replace them once a year or more. My Sennheisers have held up for close to 5 years now with no problems, with daily, hours-long use. As a brand, they have won me over. So I wanted a set of headphones to use when going to sleep. 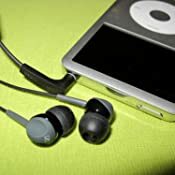 I listen to music or videos or audiobooks often to lull myself to sleep, and needed a set of phones that would be comfortable in/on my ears as I lay on a pillow. 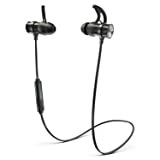 Normally I don't care for earbuds, as most every pair I've ever worn get uncomfortable within a few minutes. 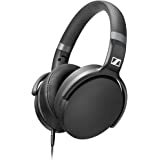 But these had great reviews, and given my previous experience with Sennheiser, I decided to take a chance. I'm so glad I did. 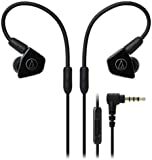 They fit perfectly, with little poly-rubber caps that slide comfortably into your ear. They are incredibly light and unobtrusive and after a few minutes you forget you even have them on. I can lie on my side with one ear pressing into the pillow with the headphones in and not feel a thing. 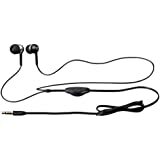 I have fallen asleep almost every night for the past several months with these headphones in my ears. They sound great too. They pack a lot of bass for earbuds. 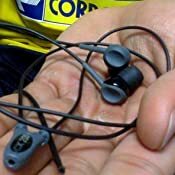 Moreover, the rubber earpieces fill your whole ear and are great at blocking out external sound. 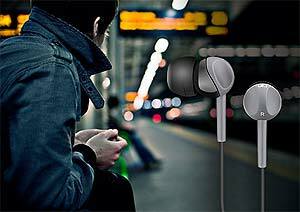 They are not noise-canceling, but for earbuds they do a great job at isolating your hearing to what's coming out of the headphones only. 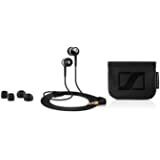 If you're looking for earbuds that leave room for you to hear the world around you while you've got them in, these are NOT for you. For my purposes though, they are perfect. But the best and most astonishing part of these headphones is their durability. Because I use them to help me sleep, I often end up with them smooshed under my head or tangled in my arms during the night. I frequently drop them over the side of the bed as well when I sleepily set my phone on the end table. But most amazing of all is that I accidentally put them into the washing machine with a load of laundry. They had gotten wrapped up under a sheet and I scooped up the bedding without realizing they were there, and dropped it all into the washer. I didn't find out until I moved the laundry over to the dryer. I thought, "Well, so much for those. Shame, too, because I liked them a lot." I let them dry out, and then, on a whim, plugged them into my phone. They worked perfectly, and still do to this day, months later. That's quality. That's what you get when you buy Sennheiser. 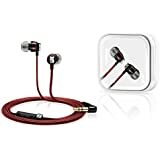 They will be my only choice for headphones from here on out, although given the durability and longevity of their products, I may not ever need to buy more! 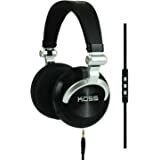 I've purchased 5 or 6 of these pairs of headphones over the past decade and used to love them for how comfortable they are. I could wear them for hours at a time without any fatigue and they quickly became my go-to headphones. I am going to have to break this tradition as the build quality has been dropping recently. 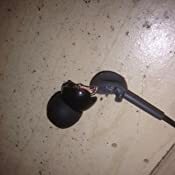 The past two pairs of headphones I've ordered have both broken after a few months of regular use, whereas I had pairs last for years in the past. 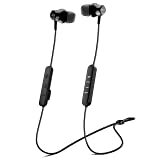 Unfortunate as I love the sound and comfort of these buds but my latest pair broke while in my backpack and I won't be ordering a new one. 4.0 out of 5 starsSound is excellent if you keep perfectly still. Gigantic amounts of rumbling sounds as cables brush against clothes if you move. I call this phenomenon "Blue man group banging on giant PVC pipes in your head", but after doing some internet searching, apparently the correct term is "microphonics". 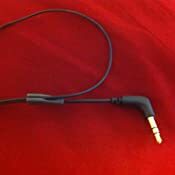 I was beginning to think all earbud style headphones do this (because a previous pair of Sony headphones did the same thing), except I bought a set of Panasonic headphones (also earbud style), and although I can't say the rumbling while the cables move around is non-existent, the rumbling is much quieter. To clarify: this isn't electronic interference or static: this is vibrations from the cables rustling against each other, your clothes, your neck, etc., transferring to the earbuds, in a very audible way. Rumbling is a good description, but if you watch a blue man group concert, it's sort of a similar sound to that too. So... if you're willing to keep perfectly still (there's a way to reduce the noise - wrap the cord behind your neck first, then down to your player, or over your ears, then down to your player), the sounds emanating from the drivers inside the headphones play beautifully. In actual use though, the enjoyment is greatly diminished by the loud rumbling sounds. I've decided to edit this review: Initially I gave them 3 stars, but I've upped it to 4, since apparently, the rumbling is very common. However, it's something to keep in mind, these are very susceptible to the rumbling sound. 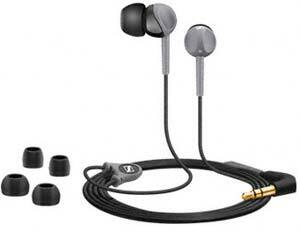 4.0 out of 5 starsGood sound, nice build but most importantly, survived a trip in the washing machine and dryer. 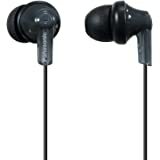 I have been using these earbuds for a couple of months have no complaints. 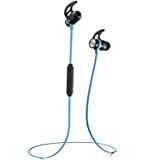 I wear these to the gym regularly and they stay in my ear through every possible exercise, I have worn them on runs and have faced no issues. 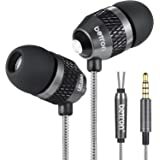 Sound quality of these is good, nothing special but in no way bad. 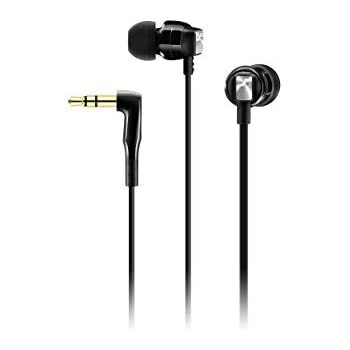 For the price, they are a pair of nice sounding earbuds that more than get the job done. 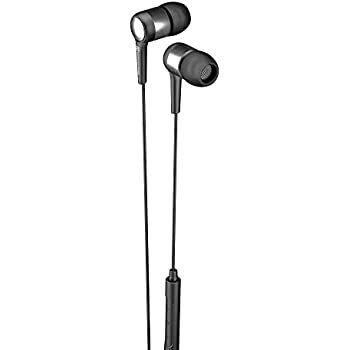 These earbuds however do not have any in-line controls. Build quality of these is also pretty good. I have used them for long periods of time with no discomfort and despite the wire being very thin, it has withstood frequent use. 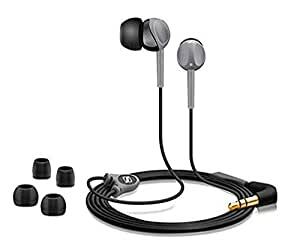 What has impressed me the most is that i accidentally left these earbuds in my jean pockets and put them into the washing machine and then the dryer and, much to my surprise, they came out working perfectly and as a bonus they smell like fresh laundry. To conclude these are a great pair of headphones and, even though it is not recommended they appear to be washing machine friendly...just make sure you put them in the dryer as well.